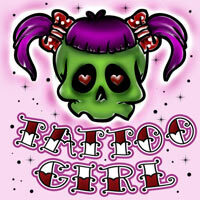 Tattoogirl comes in 6 Familystyles . 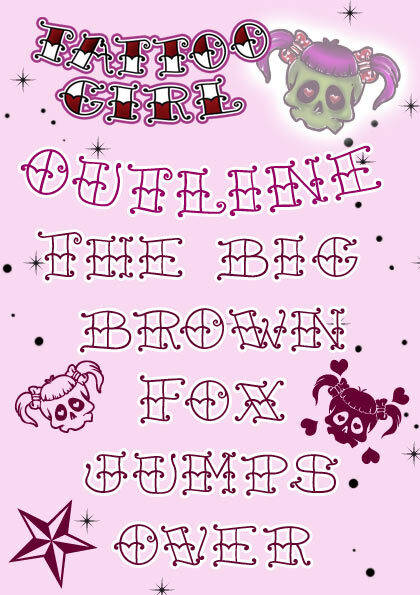 Best Font for Oldschool Tattooflash in girlie-style. 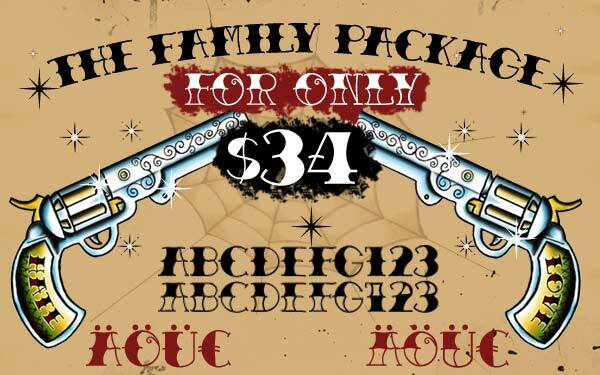 Sailors Tattoo Pro is an font family with 12 styles. 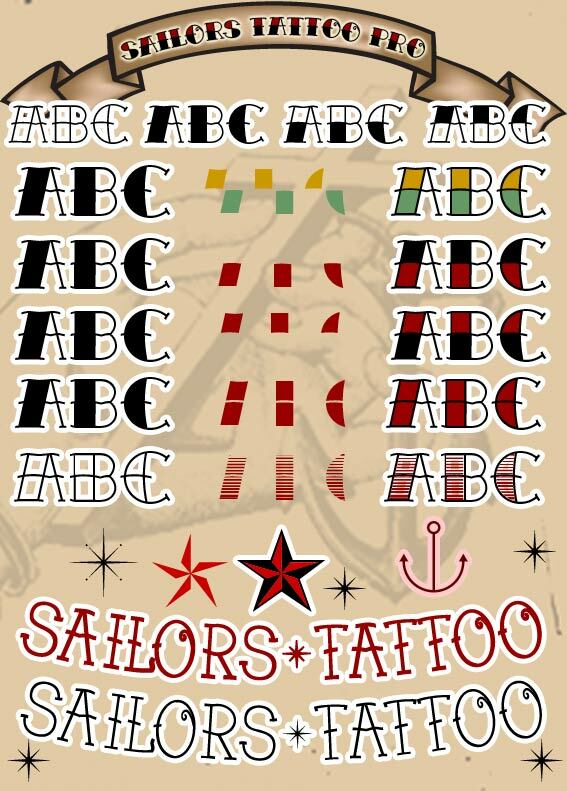 Sailors Tattoo Special is an font family with 2 styles. 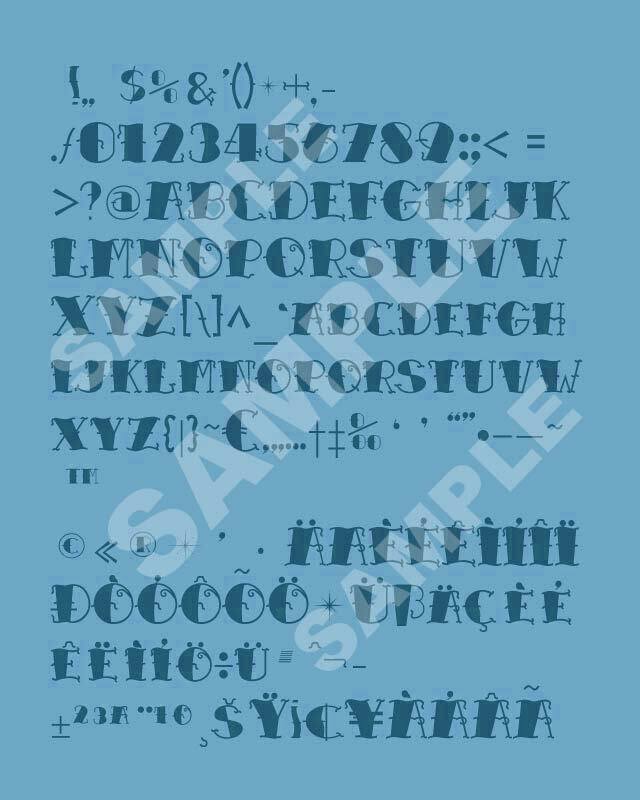 Special Glyphs in the Lowercase. 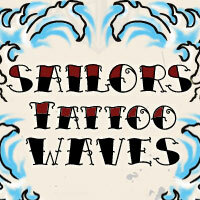 Sailors Tattoo Waves is an font family with 2 styles. Waves illustration and other are included. 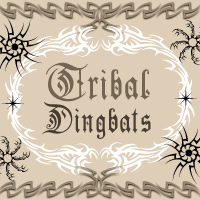 Tribal Dingbats comes with over 30 Tattoo-Tribal Designs . 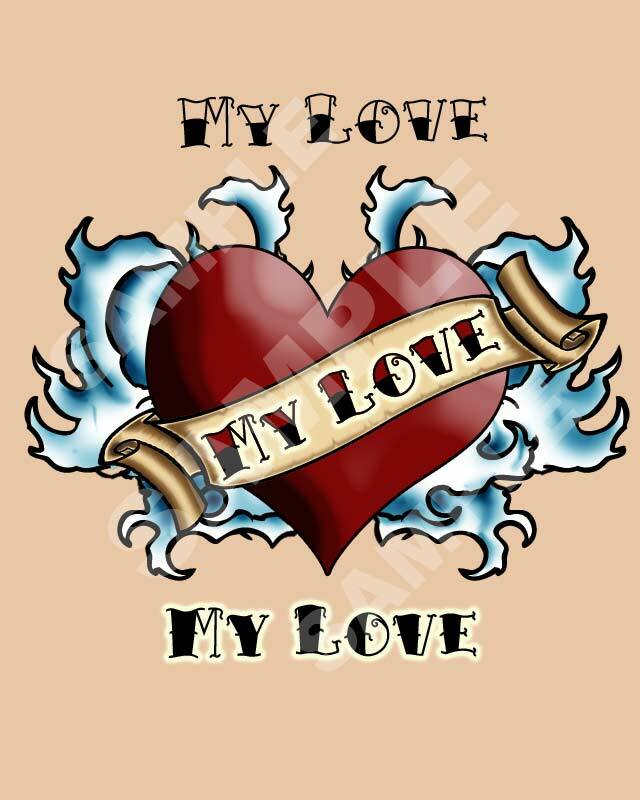 or design you own Tattoo for your Skin. 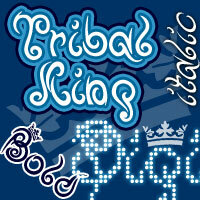 Tribal Dingbats II comes with over 40 Tattoo-Tribal Designs . 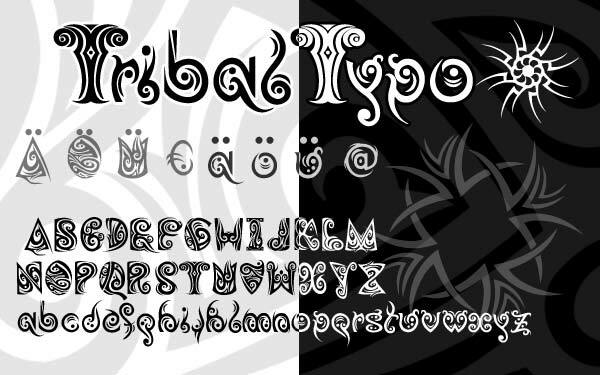 TribalTypo comes in two Familystyles . 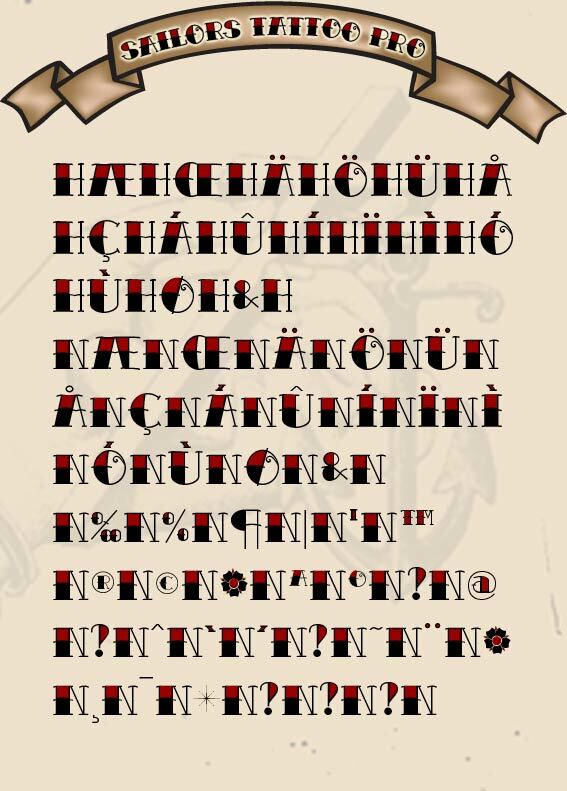 or designs for a Tattoo. 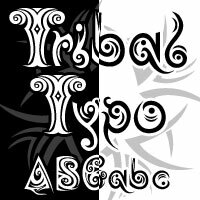 TribalKing comes in 8 Familystyles .